Did you know that modern western theater comes from the ancient Greek drama from which it borrows technical terminology, genres, and of course themes, stereotypical functional characters and plots? Well, the word theater comes from the Greek word 'θέατρον' which means a place for viewing. According to Aristotle the first theatrical performances are to be found in the festivals that honored Dionysus the God of the vine, wine making and drama. Athens has more than 148 dedicated theater stages which makes it the city with the most theaters in the world. Many of them are ancient amphitheaters that are still used today for live performances. 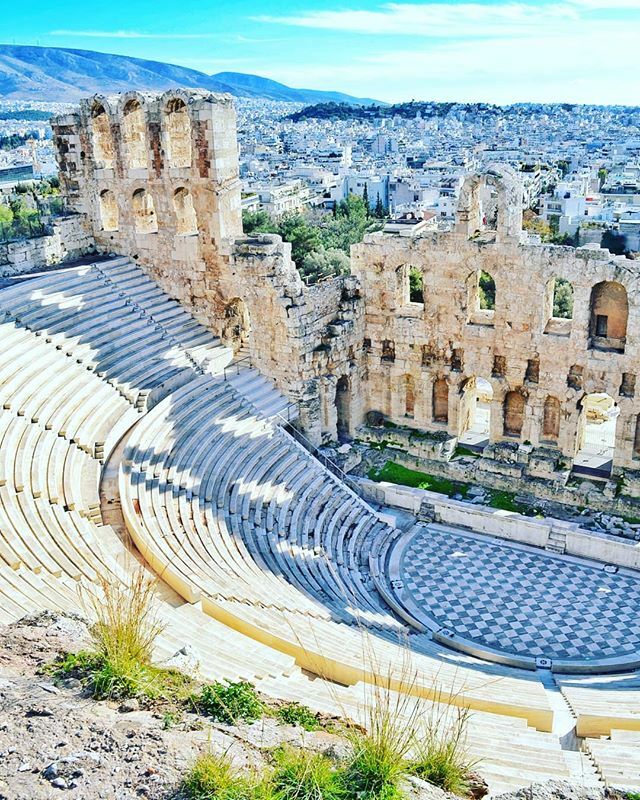 The Odeon of Herodes Atticus in the picture, hosts the Athens and Epidaurus festival every year from May to October where ancient Greek drama are presented among with contemporary plays and concerts.